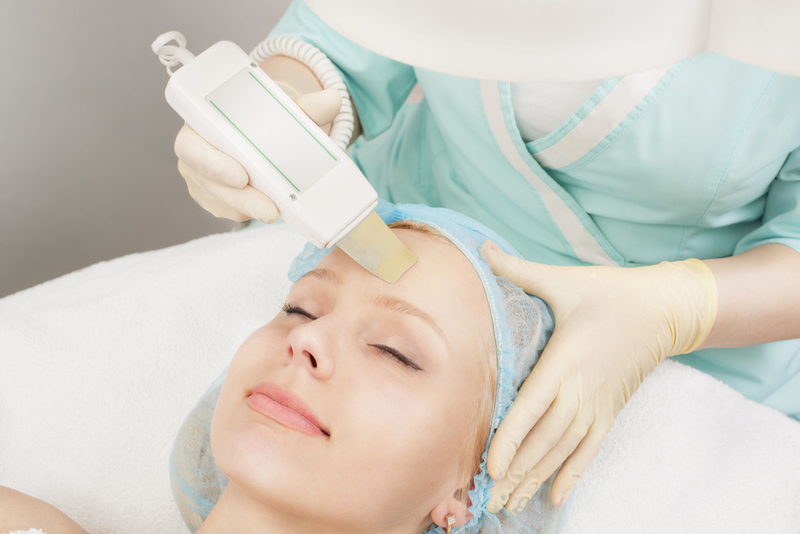 Ultrasound was recently introduced as a new treatment for therapeutic and cosmetic purposes. Commercially known as Ultherapy, it improves the appearance of sagging skin by depositing focused ultrasound energy below the surface to stimulate the body’s creation of new collagen, the natural protein that gives skin its youthful firmness and elasticity. Skin will begin to lift and tone over time. What does ultrasound tightening therapy (e.g. Ulthera) do? This device deposits focused ultrasound energy below the surface of the skin to stimulate new collagen without affecting the surface of the skin. How long until I see results from ultrasound therapy? The collagen building process continues for up to six months after treatment and lasts for a couple of years, until further touch-up treatments may be needed.